Green Economy Financing Facility (GEFF) supports businesses and homeowners wishing to invest in green technologies. The GEFF programme operates through a network of more than 130 local financial institutions across 24 countries supported by almost EUR 4 billion of EBRD finance. This has enabled more than 120,000 clients to collectively avoid almost 7 million tonnes of CO2 emissions per year. GEFF goes beyond providing simple lines of finance. 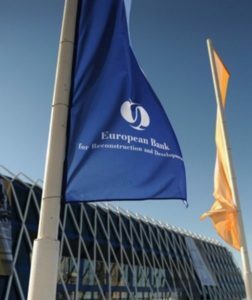 An experienced EBRD team of bankers and technical programme managers ensures consistent quality and innovation in the GEFF product and service delivery. In addition, advisory services are available to help participating financial institutions and their clients enhance their market practices. GEFF is supported by the following donors: Austria, Bohunice International Decommissioning Support Fund, BP, Canada, Climate Investment Funds, Czech Republic, Eastern Europe Energy Efficiency and Environment Partnership Fund, EBRD Early Transition Countries Fund, EBRD Southern and Eastern Mediterranean Multi-Donor Account, European Union, European Western Balkans Joint Fund, Germany, Global Environment Facility, Green Climate Fund, Japan, Kozloduy International Decommissioning Support Fund, Norway, Slovak Republic, Spain, Sweden, Taipei China, United Kingdom.